A new study warns the ‘inactive’ ingredients often featured in pills and capsules may have a negative effect on some people who consume them. The fillers may include lactose, fructose, and other substances that result in an allergic reaction or symptoms related to an existing condition, such as gluten in supplements impacting people with celiac disease. The lack of information about these fillers makes it difficult for patients and doctors to make informed decisions, however. The majority of pills, including both prescription and over-the-counter medications, include fillers. These ingredients are often listed as ‘inactive’ on the product’s included paperwork or packaging, and could exist to serve a variety of functions, including stabilizing the active compound, increasing absorption, increasing longevity, and more. The designation as ‘inactive’ leads many consumers to believe the ingredients have no effect on the individual consuming the pills, but that’s not the case, a new study says. These ingredients may not have an effect on some patients, but could result in a reaction in others, such as people with a sensitivity to the compound, allergies to the ingredients, and similar situations. The research comes out of Brigham and Women’s Hospital and MIT, where experts found that ‘nearly all’ pills and capsules contain ingredients capable of causing issues in some people. This is a problem for obvious reasons, but one difficult to address — most doctors aren’t aware of which fillers a particular product contains, making it hard to avoid prescribing a pill that could negatively impact their patients. Compounding the problem is terminology often used by manufacturers when listing these ingredients. One example given are fillers derived from wheat that may contain gluten, but that aren’t listed as ‘gluten.’ Someone with celiac disease or gluten sensitivity may react to the product but be unaware of the cause. The same is true for supplements and medications containing small amounts of lactose and other potential triggers. During their study, the researchers found that most medications feature inactive ingredients that compose more than 50-percent of each pill. 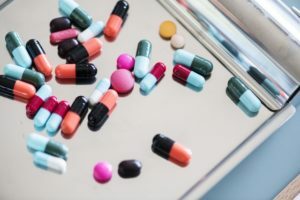 As well, 93-percent of medications overall contain allergens that could impact some patients, and the majority also contain ingredients that some people have an intolerance for. Though manufacturers sometimes list major potential allergens, such as the use of peanut-based ingredients, many remain unlisted in terms that consumers can readily identify. It’s unclear at this time how many people are potentially impacted by these ‘inactive’ substances. This story by Brittany A. Roston was first featured in Slash Gear. Have you read the ingredients in your medication? Let us know on Facebook! This entry was posted in Culminant Health, RX by Culminant Health. Bookmark the permalink.